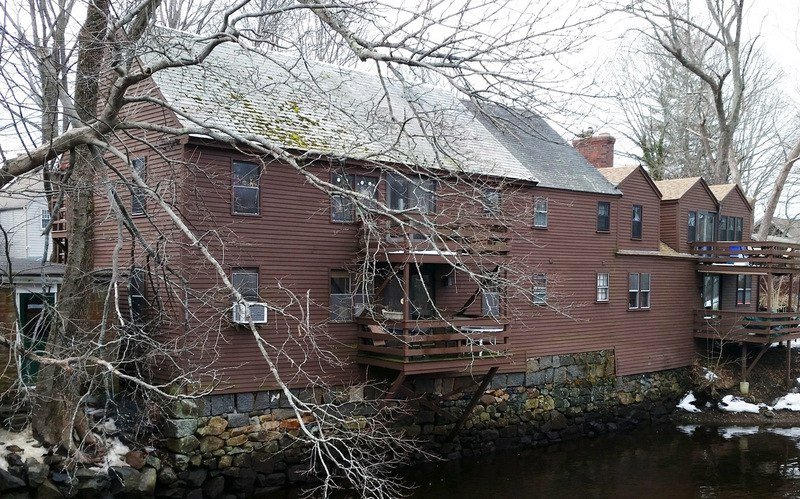 The house at 22 Elm Street sits behind other houses on the street, its foundation resting in the Ipswich River. The Ipswich assessors site gives the date of construction as 1840. 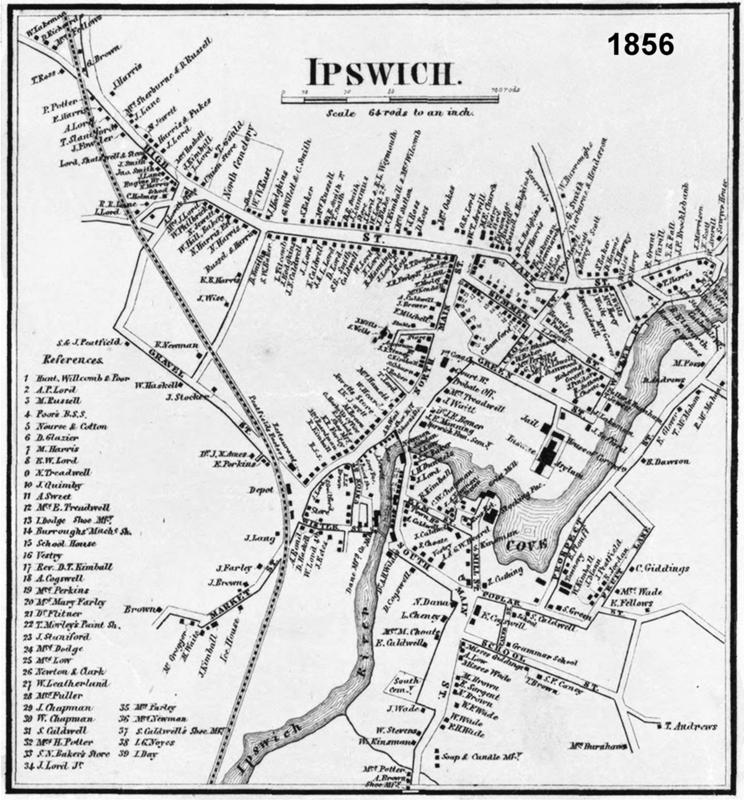 The 1856 Ipswich map shows this building as part of a grist mill complex. 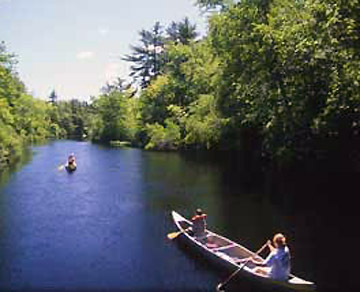 Several mills operated at the County St. Bridge in the mid-19th Century, and this building may have originated as worker housing or part of the grist mill.